Bausman & Company Now Open in the SFDC Galleria! The SFDC is pleased to announce the opening of Bausman & Company in the SFDC Galleria suite #440. Bausman is one of the leading manufacturers of French, English & Italian reproductions as well as providing stunning transitional furniture. The showroom also represents Patina, fine hand painted furniture from Italy, The Portico Collection Upholstery, 20th Century Lighting and coming soon, Hart Lighting. Original art by David Skinner and Kim Wheaton will be arriving soon. Stop in for a visit! This year, IFDA members and guests will be the first to see the latest ArtHaus, San Francisco project “LIVING FOR THE CITY” , featuring guest designer, Ashley Roi Jenkins. Discover the value of partnering with award-winning art gallerists for your next design projects. During the past fifteen years, Gallerists and Icons of Design James Bacchi and Annette Schutz have continued to bring the Bay Area’s fine art and architectural and design communities closer together. Named “Best Art Gallery” on the SFBAY List, two years running, ArtHaus is one of San Francisco’s foremost resources for contemporary, museum-quality works, diverse in subject matter, media and style. What is the business of aesthetics? Why does architecture look the way it does today? What factors impact architectural design? -How do economics and technology drive trends? -How do trends, trend setters and trend drivers impact the aesthetics of contemporary architecture? -How are trends defining the “new normal’? This distinguished group will discuss what inspires them; what constitutes the most influential trends; and what trends they’d wish would disappear, but seem here to stay. The seminar format will include robust conversation; attendees will be fully engaged in the discussion. Lisa Boquiren, AIA SF communications committee chair moderates. Special pricing for SFDC members: SFDC members pay only $15.00 instead of $25.00. Fee includes 1.0 LUs. Wine and bites will be provided. Space is limited – Simply enter “Friends” when you pre-register here! The New Century Picture Showroom at the San Francisco Design Center will be closing as of June 30th, 2011. All of the artwork is being sold off the showroom floor at the WHOLESALE PRICE. Come in soon to take advantage of these terrific savings for you and your clients! Angie Peterson will continue to work with you as your New Century representative by appointment, phone or online. 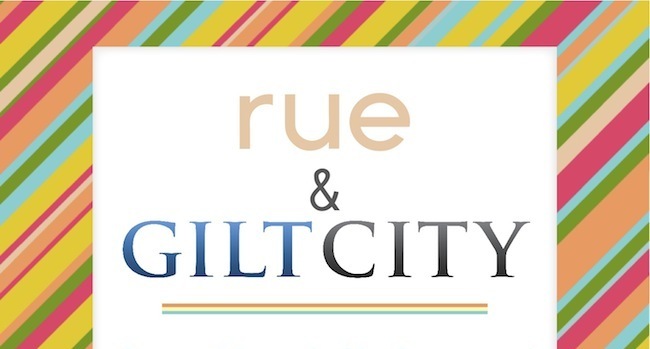 Come celebrate the May/June issue of Rue Magazine with Gilt City! WHERE: McGuire Furniture Company in the Showplace #233, WHEN: June 2 at 6:30 pm, WHY: because you love Rue/McGuire/Gilt and partying! Enjoy an evening of drinks, hor d’oeuvres and live entertainment. 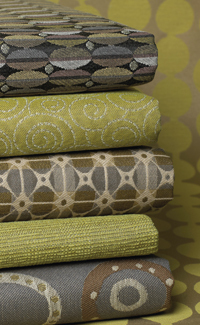 Kravet Contract has added a selection of Crypton fabrics to its Guaranteed in Stock program. Available in bright modern colors and contemporary patterns, these eco-friendly performance fabrics now come with in-stock and delivery guarantees to make ordering easier than ever. The addition of Crypton product means that more than 145 durable, high performance fabrics are now guaranteed in stock, reducing the typical lead time on Crypton fabric for ordering convenience. Fabrics holding this guarantee ship within 24 hours from order placement, among other advantages. 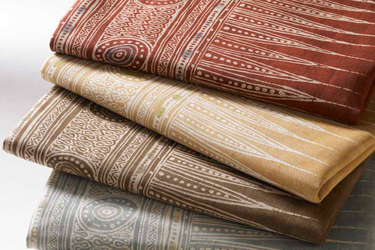 Kravet is the first to guarantee stock for a comprehensive collection of Crypton fabrics. The collection is available in three color groupings, and range in style from on-trend ethnic styles to clean bright patterns, all exclusively developed by Kravet Contract. Crypton is made with an eco-friendly process engineered to deliver stain, moisture, mildew, bacteria and odor resistance with a patented, integrated barrier. It is antimicrobial, disinfectable and extremely easy to clean, making it ideal for hospitality, health care, offices and other contract applications. The Kravet Guaranteed in Stock program is an extension of Kravet’s commitment to service and pledge to offer the widest range of high quality products in the most convenient way to its customers. Visit www.kravet.com for full details. 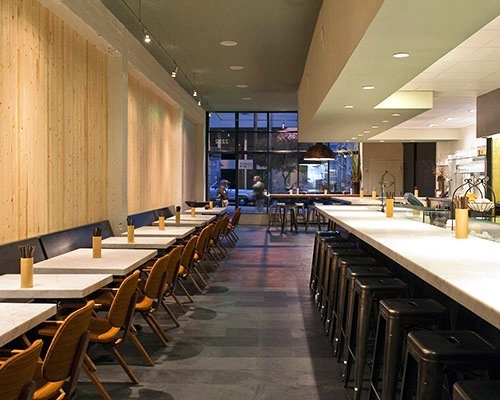 You are invited to participate in DIFFA’s DINING BY DESIGN San Francisco on November 16 and 17 at SFDC’s Galleria. Your support is urgently needed to continue to provide funding for HIV/AIDS care in San Francisco. As you know, our design community has been deeply, deeply affected by the now 30-year epidemic. And while medical advances are allowing people to live longer and healthier lives now, that good news translates to greater demand on the health care system. That is why we continue to produce this event to support the Positive Health Program at San Francisco General Hospital, which cares for the more than 3,200 people who have no private insurance. A dazzling preview party where guests stroll through the Galleria to see the creative table environments while enjoying wines or cocktails paired with tastes from the Bay Area’s top restaurants and gourmet food purveyors, and an exciting Silent Auction. A spectacular cocktail reception followed by a sumptuous dinner seated at one of the stylish tables. Bid for spectacular luxury items and unique experiences at our tantalizing Silent Auction. In today’s economic climate, collaborations are urged with suppliers, vendors and friends to make the table design process affordable for everyone. Josephine Homes‘ Summer Sale is going on now! Josephine Homes is the direct importer and distributor of distinctive and inspiring hand-crafted European design collections. The hallmark of Josephine Homes is its unparalleled quality and full customization services. Their exquisite Italian furniture, lighting and accessories collections are Hand-Made in Italy. In addition to the rich product line, they offer full customization services that meet your personal needs and desires, allowing you to create a style that is truly yours alone. Their elegant products are housed in some of the finest palaces and estates around the world. What is most striking about Josephine Homes’ collection is the symbolic value that these works of art can attribute to any room by creating a perfect harmony. A large inventory of in-stock items is always available to fulfill your immediate needs. Call 415-252-0959 to set up an appointment. Mark Newman’s En Suite Bath is just one of the many reasons to make a trip to this year’s SF Decorator Showcase. Mark, always one for calming and sophisticated spaces stayed true to his signature style. The En Suite Bath incorporates unique materials and textures that invite touch. Venetian plaster with a stenciled leaf pattern sets the scene for other intriguing elements to shine; hand carved limestone provides the leaf motif in the shower, and the custom vanity with hand finished teak surfacing gleams jewel-like. 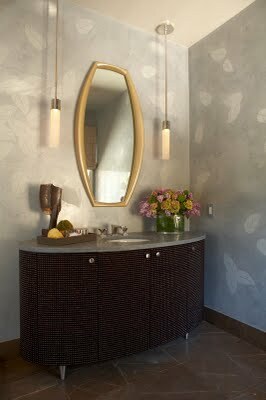 A custom designed mirror, along with superb polished nickel fittings and accessories provide the finishing touches. 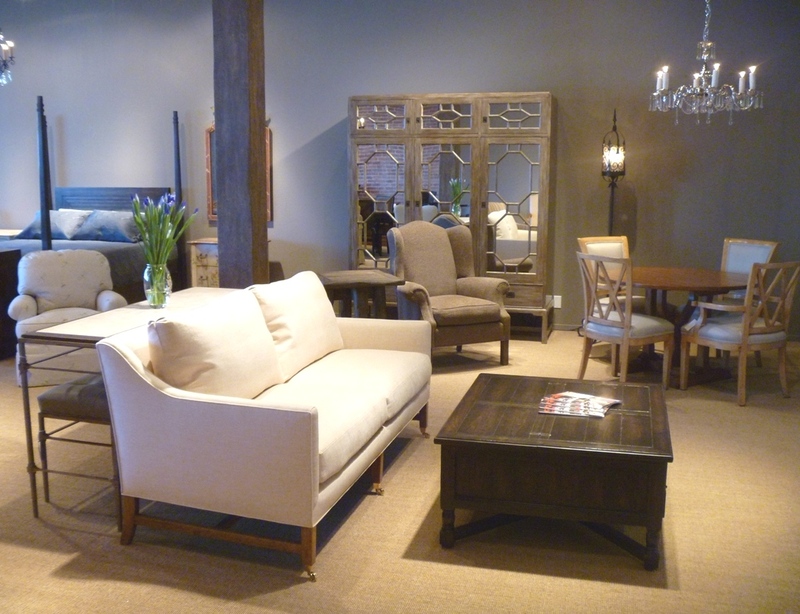 The San Francisco Decorator Showcase is open through Memorial Day at 2950 Vallejo Street (between Lyon and Baker). The latest collection from Suzanne Rheinstein for Lee Jofa, called Hollyhock II, is comprised of beautiful prints, weaves and embroideries inspired by antique textiles in Rheinstein’s own collection. Refined silk, mohair, linen and cotton provide the perfect foundation for her modern interpretation of centuries-old designs from around the world. Combined with her signature palette of blues, greens and neutrals, this collection features soft grays, yellows and lavenders which are new to her color repertoire.